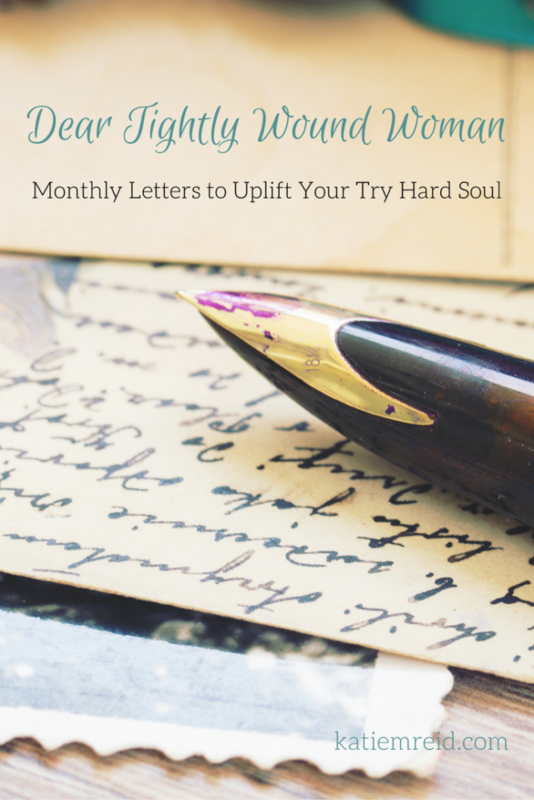 Let’s find rest for our try hard souls through this month’s letter to the Tightly Wound Woman. Are tangles from the past, the muddy waters of today, or the fear that looms ahead, holding you back? 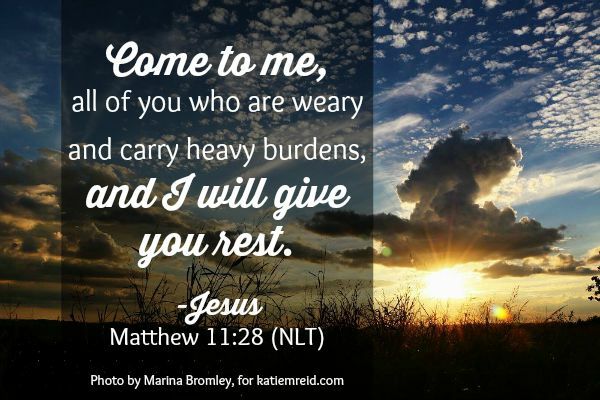 Weariness weighs you down like a lead jacket. Waiting rooms threaten to suffocate joy. Worry stirs up stress. But, dear daughter, there is so much more for you. All is not lost. It might not be the silver lining that you were expecting, but it is good news indeed. Let wonder evaporate your weariness. Look around and see what I have already done. Ask Me for fresh eyes to see and clear ears to hear My love all around—singing, chirping, bubbling for you. Let peace soothe your tense places. Recount My faithfulness. Ask Me to help you remember all the little and big ways that I have proved My care for you. Let worship calm your nerves. Open clenched fists and lift hands in surrender. I promise you, I AM Trustworthy. I might not do what you expect, but it’s for your good. I love you more than you can imagine. Ask Me for courage to face tomorrow as you rely on My Strength and lean into My Sufficiency. Nothing is too hard for Me. Do you feel like you’re stuck between jutting rocks and uncharted waters? Are you afraid to move forward and afraid to go back? May I remind you that I am the Red Sea Parter, the Breakthrough Giver, the Loving Creator, and the Resurrected Savior? Nothing is impossible for Me. You are not beyond My reach. I have your best interest in mind. I am making a way through these waters. I am the Wave Walker, remember? You are not alone, even when you feel like no one sees, no one knows, no one cares; I promise, I do. I have proved My love time and time again. And I won’t stop! And I won’t walk out on you or throw up My hands in frustration. Let Me throw My arms around you dear one. Let Me wrap you up in hope. There is glorious work to be done…in, through, and around you. You have an important role in this unfolding drama. Don’t shy away from My lead. I am a Gentle Shepherd and a Roaring Lion. And I will equip you for the task at hand and uphold you as we go forward, together. I specialize in helping you get unstuck. You don’t have to figure it all out. Just take the next step. Follow Me. *This “tightly wound” title refers to those of us who are a little uptight on the inside but mostly it’s a label to be plastered on proud because we are women who are tightly wound to His side. We are women who are convinced of Christ’s love. We accept His invitation to be who He has created us to be—beloved daughters—called, according to His purposes. We are strong women—bold and beautiful. We are committed to finding grace in the unraveling of life. Striving is replaced by settledness because Jesus’ finished work on the cross is enough to save, keep, and lead us. We choose to trust God and rest in His care. We are full of joy and peace, because Christ dwells within—the hope of glory! We lay our hangups and wounds at His feet. We go forward in freedom because we are wound up in a Love that has no bounds. P.S. Access past Tightly Wound Woman Letters. Subscribe by email (in the top right hand corner) to receive posts for free directly to your inbox. Katie, I love your description of the tightly wound woman. By replacing ‘we’ with ‘I’, it reads like a beautiful mantra reminding me of who I am in Christ. Here is how it would look. [I accept Christ’s invitation to be who He has created me to be—His beloved daughter—called, according to His purposes. I am a strong woman—bold and beautiful. I am committed to finding grace in the unraveling of life. My striving is replaced by settledness because Jesus’ finished work on the cross is enough to save, keep, and lead me. I choose to trust God and rest in His care. I am full of joy and peace, because Christ – the hope of glory- dwells within me! Thanks for sharing this encouraging message of hope. Blessings to you!